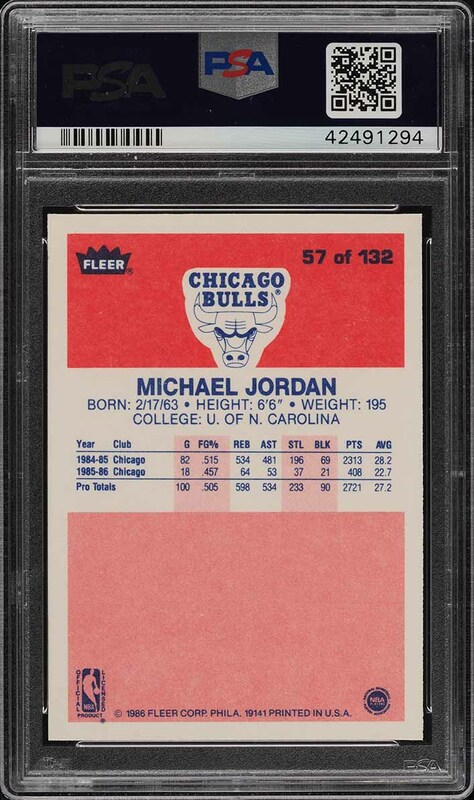 **Auction #4, Round 2** Perhaps the most coveted and altogether significant investment tool from the modern card era. No brand shines brighter than the immortal MJ and the international following of professional basketball feels positioned for an ever widening embrace. 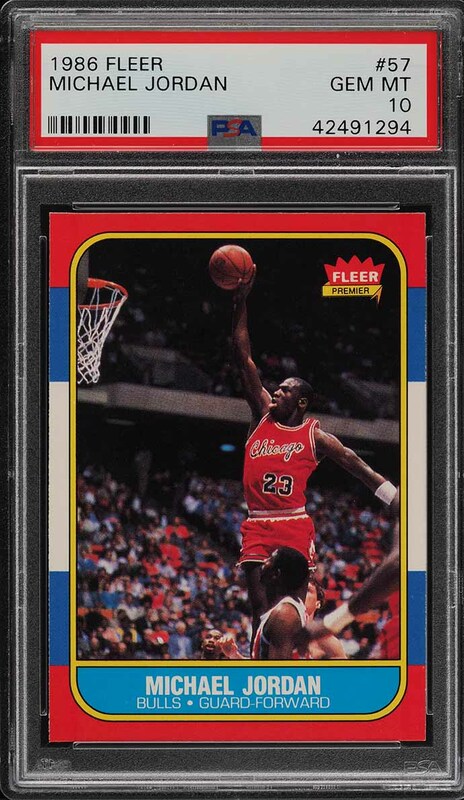 Offered here is a simply stunning and altogether world class '86 Fleer rookie, having just returned from PSA and boasting some of the finest qualities ever offered to the pubic. Glistening surface with a rich and thick gloss and exceedingly bold coloring. This card glows, showing a 3D like focus which is very rare for the issue. Almost perfectly framed 50/50 in both directions and displays card stock entirely void of circulation. Unquestionably GEM MINT from every angle, with some attributes which we feel is actually superior to a typical 10. 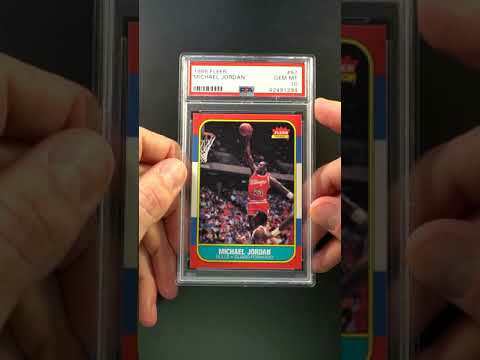 One of nearly 15,000 cards, lots, and sets up for bid in our 4th Auction of 2019. Click on the link above to view the other PWCC auction lots. The PWCC Vault is now live! Open a PWCC Vault account and receive a custom Vault shipping address. Purchases shipped to the Vault receive free shipping and reflect Oregon's 0% sales tax rate.